Background/Info: Belgian Metroland last year unleashed their fourth full length “Men In A Frame”; a conceptual album about photography. After the album they also released the singles “Man In Frame” and “Memorabilia” featuring exclusive ‘non-album’ tracks. Next to a few more singles and an USB-release they closed this conceptual chapter with this gatefold yellow vinyl release and an extra CD. Each format features nine identical songs and three exclusive ones. Content: All of the songs are remixes and alternative versions from tracks that were originally released on the last album or the exclusive singles. 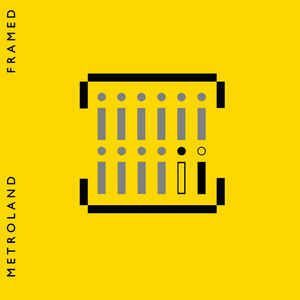 Metroland remixes son songs while other remixes were done by artists such as Aavikko, Elektroklänge, Psy’Aviah, Kurt Baggaley, Implant, Der Dritte Raum, Die Robo Sapiens, Zusammenklang and Him+He. The songs/remixes are pretty diversified, holding on the Metroland song basis, but mixed with some extra influences like EBM, minimal electronics and even a touch of psychedelic-ambient. + + + : The vinyl format is absolutely great; it has something retro-like, which fits with the Metroland-sound, but it also is sober and artistic. The content is interesting as you get much diversified edits. The clubby-sounding “Memorabilia” remixed by Der Dritte Raum is my personal favorite one. Elektroklänge did a great job remixing “The Speed Of Life III” in a different, but still very robotic/Kraftwerk-ian approach. 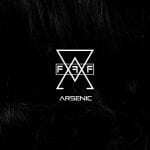 Another song I want to mention is the remix of “La Macchia D’Acqua” by the Belgian project Him+He. Their remix has something new-beat like. – – – : I think it’s the right moment to close the “Men In a Frame”-album; it was a great, conceptual and successful release, but more remixes would be a little bit abusive! Conclusion: This is album is a truly collector’s item for the Metroland fans. 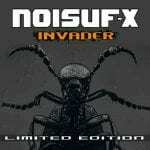 It has been strictly limited to 300 copies worldwide so it’s a little treasure of sonic ecstasy. Best songs: “Memorabilia – Der Dritte Raum Rmx 3.4”, “The Speed Of Life – Elektroklänge 1-2-3 Remix”, “La Macchia D’Acqua – Him+He’s Real Sounds Of A Matrix Edit”, “Proiezione 41-828 – Ot-Vorpsrung-Remix”, “Creative Rose – Passenger S Perennial Mix”.